Beautiful soft lined 18th century chest of drawers. 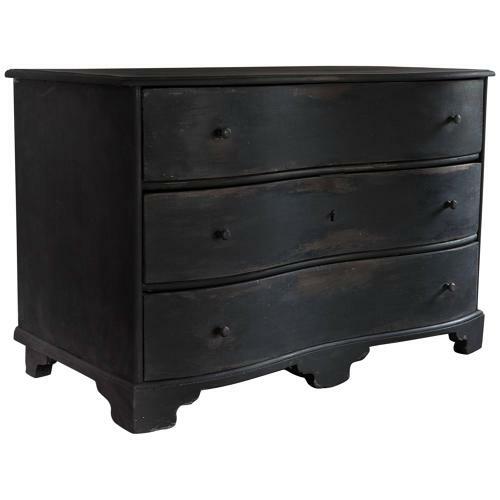 Black, distressed paint, retouched. Original chamfered 18th century back and triple lock (one lock closes all drawers). Good. Beautiful condition. Paint retouched and partly repainted. Original hardware, original chamferred back..
W 49.61 in. x D 25.2 in. x H 32.68 in.